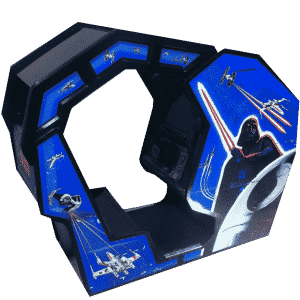 This is a great way to own one of our best selling Voyager Table Arcade Machines at a bargain price! 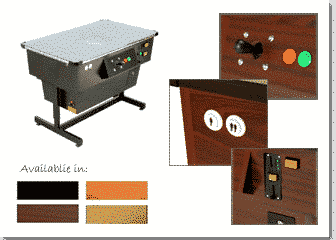 These tables are only available on free play in Mahogany, but come complete with a 12-month warranty and free delivery (150mile radius). The power house of this machine is the “Voyager” games engine. 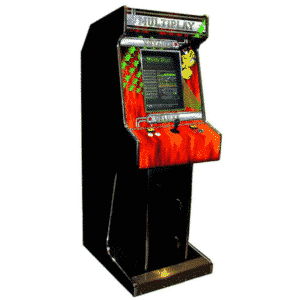 Specifically developed to make playing many games in one machine reliable, fun and so easy to use. 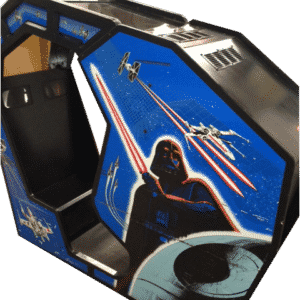 You control all the functions of the machine with the joy stick and fire buttons, with easy to follow on screen instructions. 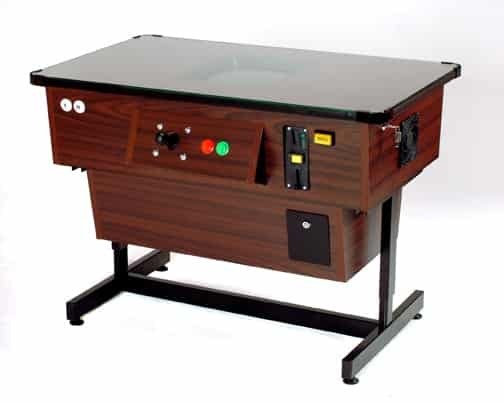 The unique Voyager games engine not only, selects, loads, plays the games and handles game credits, It also has a comprehensive auditing system for coin operated versions and clever auto file repair and system maintenance functions, that make it the most robust multiple game system available today . 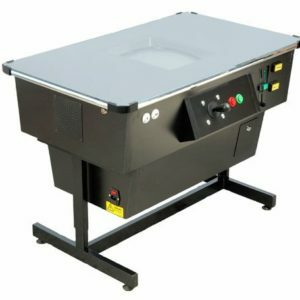 Its trouble free operation make it ideal for both home and corporate use.The system is housed is the best quality cabinet available on the market today. 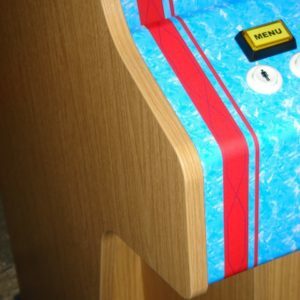 It’s a faithful reproduction of the original retro cool cabinets found in Arcades up and down the country and built to last for years. Its solid construction means no matter how excited you get, this cabinet will take it in its stride. 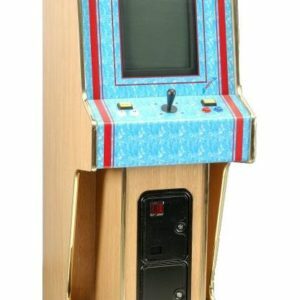 These machines are manufactured in the UK, with full UK based service backup and 12 months Warranty.The Voyager Cabinet has the ability to play up to 36 of the most popular classic arcade games of all time including : 1942, Bombjack, Donkey Kong, Donkey Kong Jr., Frogger, Galaga, Galaxian, Ladybug, Lunar Rescue, Moon Cresta, Mr.Do, Pacman, Phoenix, Scramble, Space Invaders, Uniwars, Video Hustler, Dig Dug, Pacman Plus, 4D Warriors, Starforce, Wonderboy, Xevious, Gorf, Moon Patrol, Pleiads, Eyes, Terra Cresta, Phoenix II, Vastar, Wiz, MX5000, Megatack, Jail Break and Gyrodine.If your favourate game is missing from this list, why not contact sales to see if it can be added.